It can be an overwhelming process when you’re unprepared or don’t know where to start when buying a home. When you have a step by step guide as your tool, you will be able to prepare, organize and substantiate your finances before purchasing your new home. 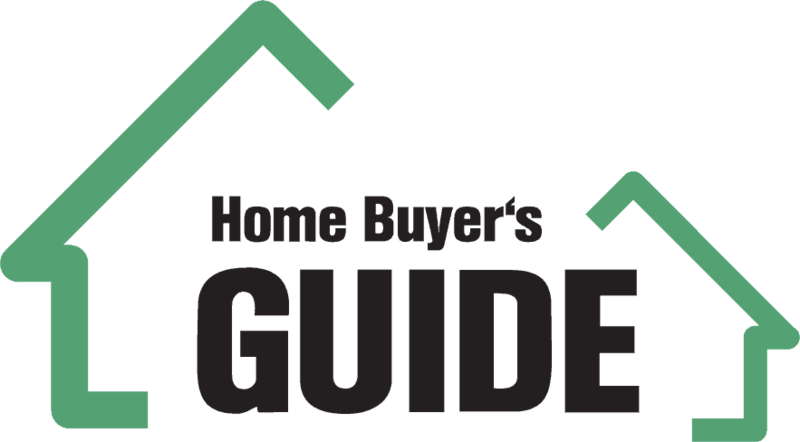 Use this free Bakersfield CA Home-Buying Guide as your trusty resource to assist you through the process. Check Your Credit Report and Score – Before buying a home, you need to check your credit report and the score from all three credit bureaus. Look through the credit report history for any discrepancies. If there is anything incorrect, you can dispute most items online to resolve any errors. Calculate Your Debt to Income Ratio – The main criteria for a mortgage lender to consider you for an approved loan is based on your debt to income ratio. Take the debts you pay monthly and divide that from you total monthly salary. For example: if your total monthly debts are $3000 and you make $7000 a month, your debt to income ration is 42 percent. Your debt to income ratio should stay below 43 percent. How Much You Can Afford – Your mortgage payment should not exceed 28% of your gross monthly income. Let’s say that you’re making $80,000 a year, your mortgage payment shouldn’t exceed $1,866 a month. The estimated housing payment (which includes your mortgage, homeowner’s insurance, association fees and property tax) shouldn’t exceed 32% of your gross monthly income. That would mean, your monthly housing payment can’t be more than $2,133 a month. The total debt payments (auto loan payments, other home loan payments, student loan payments, and credit card payments) should not exceed 40% of your gross monthly income. In this case, if you’re making $80,000 a year, your total monthly debt payments can’t exceed $2667. If you have $600 in monthly debts, your monthly monthly payment cap is $2067. This Bakersfield CA Home-Buying Guide is a good reference tool to help you through the buying process. Find the Right Lender – Now that you’ve checked your credit report and calculated your debt to income ratio, you’re next step is gathering documents before talking to a mortgage loan officer when they request them. Gather your tax returns, current monthly bank statements and employment documents, keeping them all in one folder for verification. When choosing the right lender, ask about their closing costs, interest rates and the time it takes to close and fund a loan. Make sure you are comfortable to work with the loan officer because you’ll be communicating with that person throughout the home buying process. In order to get a pre-qualification letter, the lender makes a basic assessment of your debt to income ratio, takes that information and estimates how much you can borrow, not necessarily how much you can afford. If you are actually ready to purchase a home within 90 days, a full mortgage pre-approval will help guarantee your position into buying a home. You will need to provide the lender your income and any financial documents they request to estimate how much you can borrow. A pre-approval is more attractive from a seller’s perspective because they know that the bank already has your back, especially when the seller has multiple offers. Find a Real Estate Agent – After you have received your pre-approval letter, now it’s time to find an agent. A real estate agent is your strongest asset when it comes down to buying your perfect home. They are able to provide you online tools to look for a home, keep you updated on what’s on the market, help any answer questions you have and educate you at the same time through the process. It’s important to let them know what you’re looking for in a home and where you want to live. Look for the Right Home – When you’re looking for a home in a particular area, you want to be sure to do to some research. Look into the the crime stats, the schools in the area and if there are amenities that you feel is important to be near (i.e. grocery store, gym, gas station, etc). You can do a lot of research online and at the same time you can actually view homes that are available in that area. On the Tholco.com website, there’s a map of Bakersfield, that you can view where you’ll have access to the current listing of homes. If you have questions about the location or the home itself, be sure to call us so that we can guide further in your search and also set up appointments to actually see several homes that you might be interested in. When you do visit homes, make sure you take photos and notes to give you positive or negative details about the home. Let your real estate agent know your opinion about each home you visit. This can help them understand what the look and style of home that you want. Make an Offer on the Home – Your real estate agent will give you listings on homes that you may be interested in. Make sure to set up a time to walk through them. It’s good to check it out because pictures of the home can be different from actually seeing it yourself. Once you found that perfect home, tell your real estate agent that you want to make an offer. They will help you submit a fair but strong offer based on it’s current determined value. Sometimes when an offer is submitted, there might be a counter offer from the seller. Once the seller accepts your offer, it’s time to move through the final stage of buying your home. You will need to negotiate the terms of the contract such the closing date, appraisal-deadline, inspection and repairs, to name a few. Your agent will guide you step by step with each document you will need to review, agree, and sign. If you have any questions, don’t hesitate to ask your agent. Inspection and Appraisal of The Home – The most important part of the buying process is making sure you have the home inspected. The house may appear to look like it’s in good condition, but you want to verify that the house is in good condition, inside and out. You don’t want to move into a home with unexpected and highly expensive repairs. Depending on what type of loan you have, you’re most likely going to be responsible for the cost of the home inspection. Talk to your lender or agent to find out who the determined party is for the cost. The next step after the inspection is the appraisal of the home. Don’t delay this, the mortgage company wants to make sure that the loan amount they are providing is equal or better than the appraised value of the home. If the home doesn’t get appraised at value, the contract will be terminated or renegotiated. Closing of the Home – Once the appraisal and inspection is cleared, the closing of the sales transaction will be completed. Once both parties sign an executed sales contract, you will need to provide your deposit on the home, also known as earnest money. Earnest money is a way to guarantee that you will not back out on purchasing the home, otherwise the money will default to the seller. The earnest money is credited back to you after closing the sales contract. Buying a home can seem complicated. First and for most, be well prepared financially before you take the initial process of purchasing. Going over this guide and marking off what’s been done will be a good tool to use to get you that key to your home. Hopefully our Bakersfield CA Home-Buying Guide assisted you, if you have additional questions please feel free to contact us or feel free to submit a comment below!